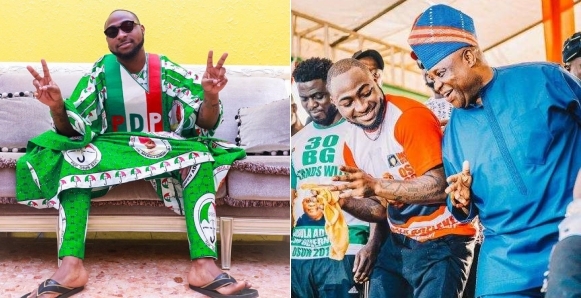 DMW Boss, Davido has been on the positive mode as he shows support for his uncle Sen. Adeleke in the Osun elections and so many. Nigerians are loving it. After recieving some kudos from top celebrities and friends for his efforts, the singer was approached by a troll on twitter who tried to warn him to back off from supporting his uncle to avoid being mocked and ridiculed by Nigerians if the results prove negative. 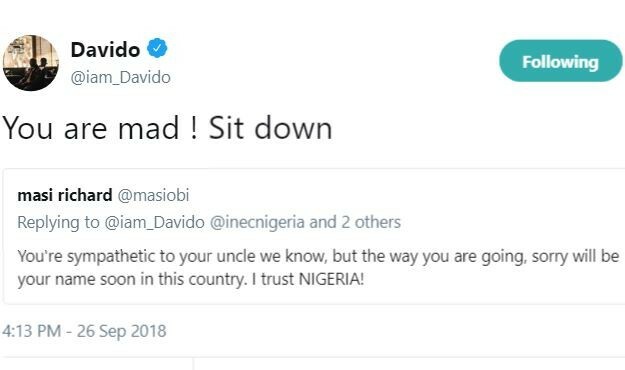 Well Davido has replied the troll in an angry way. Posted by Mr. Cis on September 26, 2018.